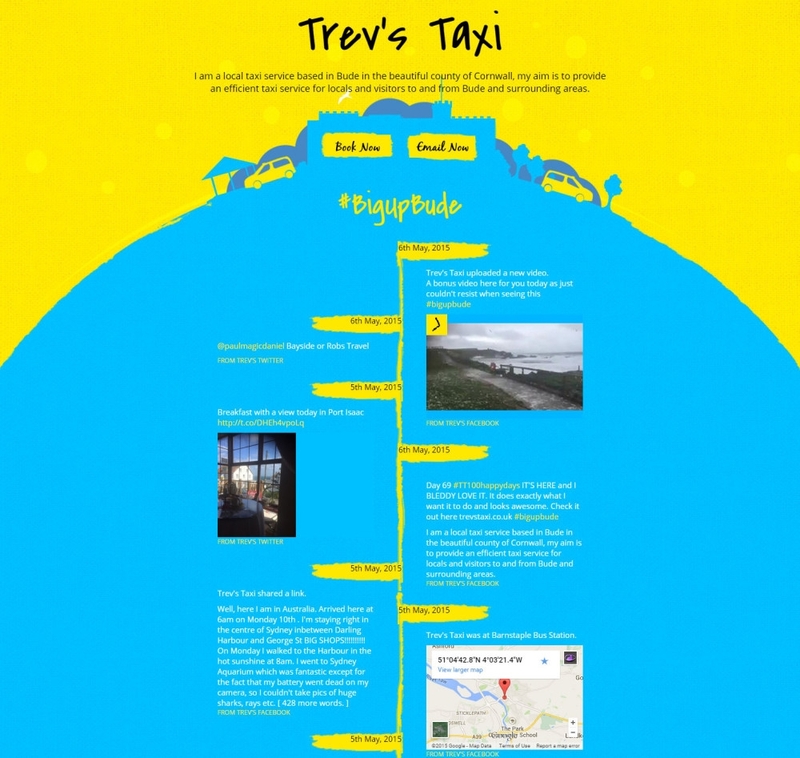 Trev approached me with producing a one page website to not only promote his taxi company (Trevs Taxi) but to also promote Bude using the hashtag #BigUpBude. This meant using Facebook and Twitter from his website. We quickly came to a decision to use the Software Development Kits (SDK) in PHP for both Facebook and Twitter to retrieve Trev’s latest posts and tweets. The end result is a timeline of all his latest tweets and posts in real time. I can’t express how much fun this one page site was to put together! As it was something a bit different that most websites don’t offer.